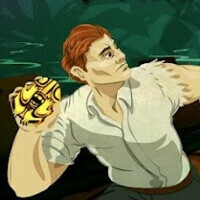 Temple Run is all about running away from monsters and the temple-sprinting title has also become a runaway hit on iOS. Today, it has finally arrived on Android and you get it for free on Google Play. Temple Run arrives just as promised - on time and with all the familiar jumping and dodging actions you do by swiping on your phone’s screen. It’s also equally addictive and you could easily find yourself making in-app purchases, which is how the game monetizes profits. Imangi, the software company behind it, is using successfully the in-app purchase model on iOS as well. You can easily install Temple Run on any Android device running 2.1 or a more up-to-date version of Google’s platform. woohoo!!! i am downloading it now. You know what? I have never really been fond of Temple Run, I find it an over-rated game (like many other ones) on the iOS. But perhaps I'll try it again on my androids. well each person has different likes. Instagram's going on 18 months and counting. Angry Birds was iOS exclusive for almost a year. Still, it is a bummer. Quite a fun game. Nice sense of humor, slick gameplay (if a little hard to pick up at first) only fear is that they hint at in app purchases. Hope that if they're widely implemented they dont cripple the game. Not compatible with Droid Razr...just wonderful.. Warning to anyone that installs this app. The game was fun for me on my Droid RAZR MAXX, but it will install a separate market and attempt to install other apps on your phone with all permissions request open. It will have a notification icon that pops up to click on saying sms and takes you to google play to install another app. This app is fishy at best and I reported it to Google to investigate it. I'd be careful if you install this. You'll notice 2 Markets. One named "market" the other one "google play" which the one named Market shouldn't be there. Really now.. That's news to me. I think you downloaded the wrong game. Just uninstall, it should fix your problem. No, I downloaded and installed the one from the link above in the article. See, again, weird. It didn't do any of that to me. They removed it from google play. I'm not sure if it's based on device type or not, but I don't see the game in the market anymore. I guess Google removed it or the dev did. It's something u probably didn't notice and it's the only thing I installed today. After I uninstalled the game the separate market disappeared. It's the oddest thing I've ever seen. I'm not going to trust it. It kept wanting to install 2 other games and one of which wanted permission to contacts, phone idenity, I mean I might as call them and tell them everything about myself. Dude, i would notice if a second market wanted to be installed along with two other games. well, I went into Google Play website and logged in. It's showing my phone isn't compatible with my Razr or my previous Bionic, it's compatible with the droid X which use to be on my list. That's strange. The second market installed on it's own made a shortcut on the homescreen. and ran on it's on without me doing anything. I'm going to see if I can install it again if I can find it. I had a similar issue when I downloaded and installed Scramble with Friends from Zynga. had a new icon on my desktop that took me to a place to buy games.. then I had some random messages appearing in my task bar about other games. Not cool.